MINERVA, Ohio (WGHP) -- An Ohio woman is accused of showing up to court on drug charges with a backpack full of drugs. 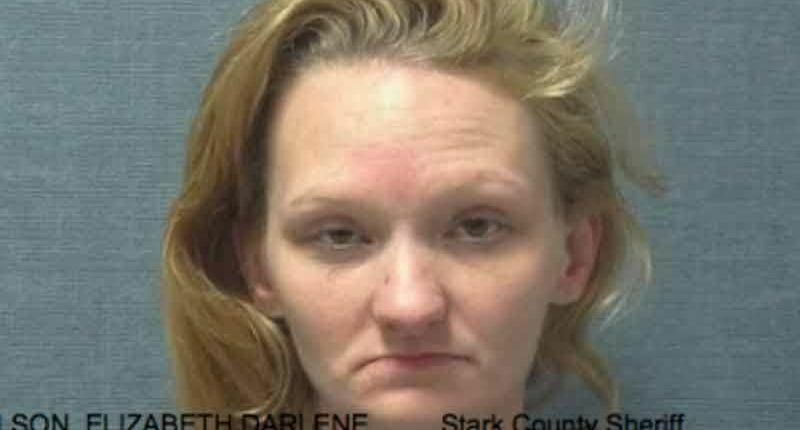 WEWS reported that Elizabeth Darlene Wilson, 31, of Minerva, appeared at Minerva Mayor’s Court Monday with a backpack with methamphetamine, ecstasy and multiple pills. Wilson was in court on two counts of aggravated possession of drugs and one count of possession of dangerous drugs with intent to distribute or sell. Her backpack reportedly contained .53 grams of meth and MDMA, 11 blue capsule pills, which appear to be amphetamine and dextroamphetamine and a pipe with residue used to smoke meth. Also found were 11 gabapentin pills, a clear bag with marijuana buds weighing more than 2 grams and a glass pipe with burnt marijuana residue. Wilson was also charged with possession of drug abuse instruments, marijuana drug paraphernalia and possession of a controlled substance.